If there was ever a book that was made for audio, this is it. 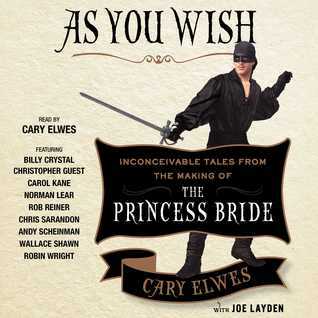 This book is essentially an oral history, pulled together by Cary Elwes (Westley), with him at its center. Only Mr. Elwes (or Rob Reiner or Robin Wright) could have written this book, as it would have been strange from the perspective of a more minor character. And it makes the most sense from him, as he was so young and this was, in many ways, the pinnacle of his career. I know he's gone on to start in dozens of movies and have a successful career, but I'd bet that 90% of people who know him as an actor, know him from this movie. It was certainly seminal for him. Anyway, he had read the book as a kid and loved it, and so knew exactly what it was when Reiner cast him, and was appropriately awed and nervous and excited about the opportunity. It was a tad dismaying when Robin Wright was initially repeatedly described only physically (by others as well, not just him) but of course, that was in discussing first impressions and it did change once they got to know her. If you love this movie, you will get great new insights, particularly about sword-fighting, and you'll be paying extra attention to the ROUSes and to Andre the Giant's scenes. If this book doesn't have you saying, "Anybody want a peanut?" by the end, you have no soul. 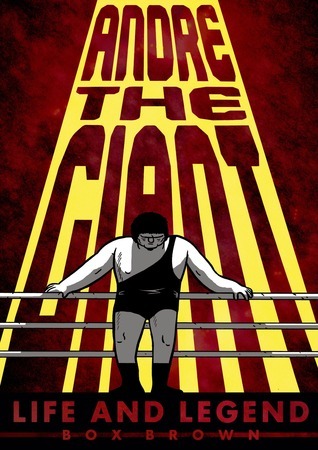 Afterwards, I was inspired to pick up the graphic bio Andre the Giant: Life and Legend by Box Brown. 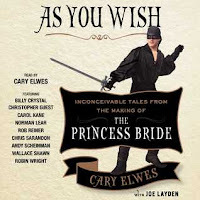 You get a fair amount of his biography here, as Mr. Elwes (along with the entire cast) just loved him and still miss him and wanted to be sure his story was told. Mr. Brown has additional stories, and of course someone so unusually large makes for an excellent graphic subject as sometimes it's hard to explain just how large he truly was. Mr. Brown's book really gets into wrestling and explains a lot of that particular backstory which is fascinating--how much is fake and how much is real, and what is predetermined, and how the most important part is for the audience to get a good show. I bought this audiobook through Libro.fm, supporting independent bookstores. The graphic novel I got free from my work, as it is published by First Second, a division of Macmillan.